Fabaceous plants, that is. For the next several weeks I’m likely to be posting back-and-forth between finds in Anza-Borrego and in the Maryland piedmont. 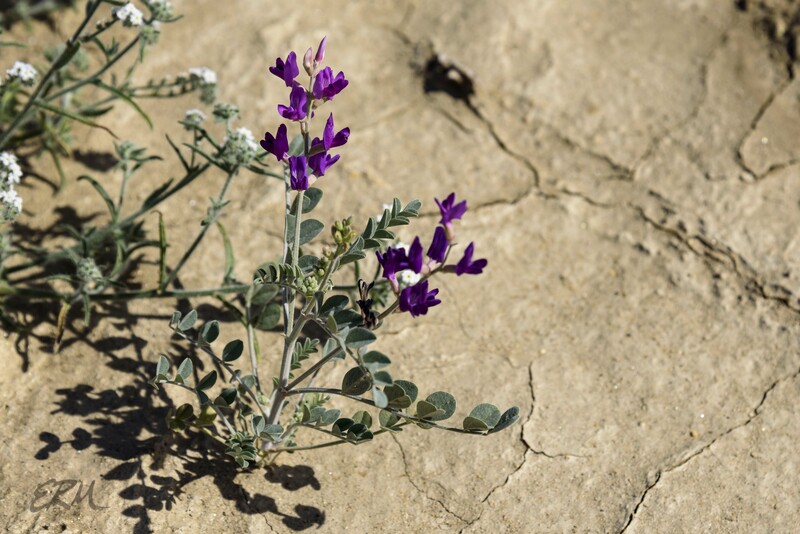 Astragalus is the largest genus of plants known, with about 3,000 species, around 350 of which are native to North America. A. crotalariae has a limited range, found only in the Sonoran desert, in Northern Mexico and a few parts of southern California and southwestern Arizona. It’s a perennial that grows to about two feet tall. 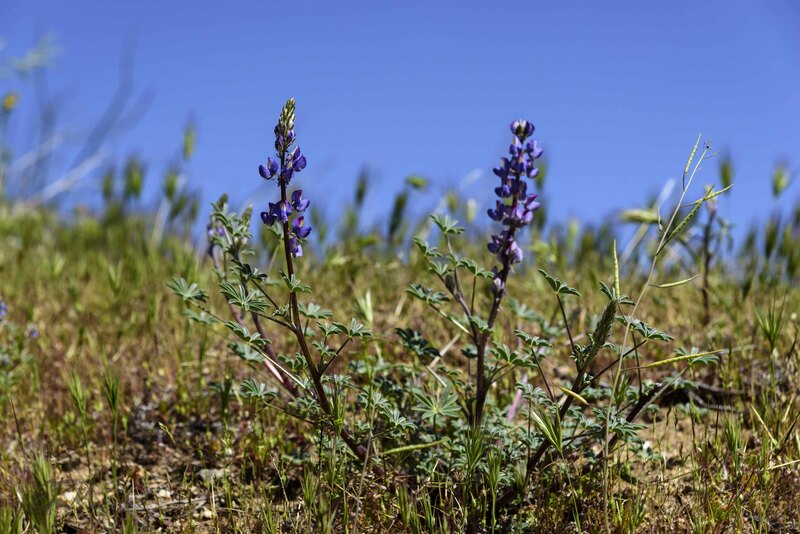 There are about 200 species of lupines worldwide, with maybe 70 or so in California. It’s hard to say how many are in the Sonoran Desert, since many of the species have multiple subspecies. A quick glance at several internet sources leads me to think that maybe there are one to two dozen. L. arizonicus is native to the Sonoran and Mojave deserts. 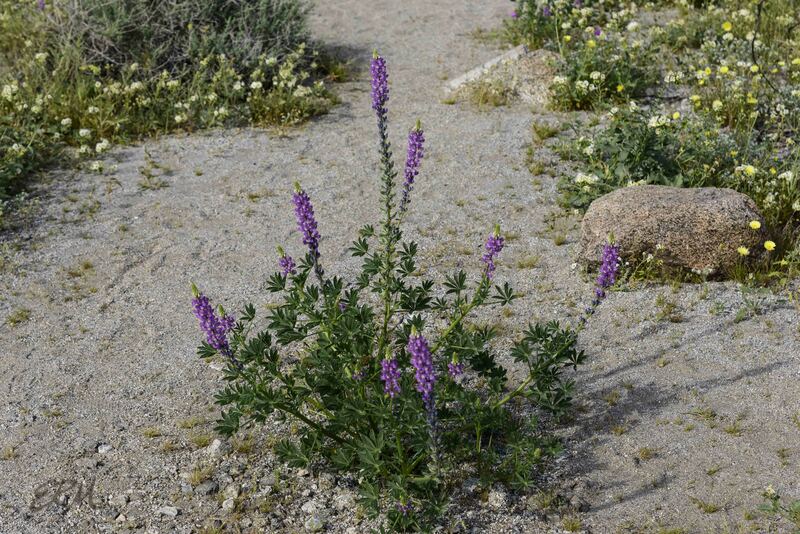 It’s a desert ephemeral, growing only in years when there’s been enough rain, and reaching to about a foot and a half tall, Depending on which authority you consult there are several subspecies; interestingly, several of the subspecies have their own varieties, for example Lupinus arizonicus ssp. arizonicus var. 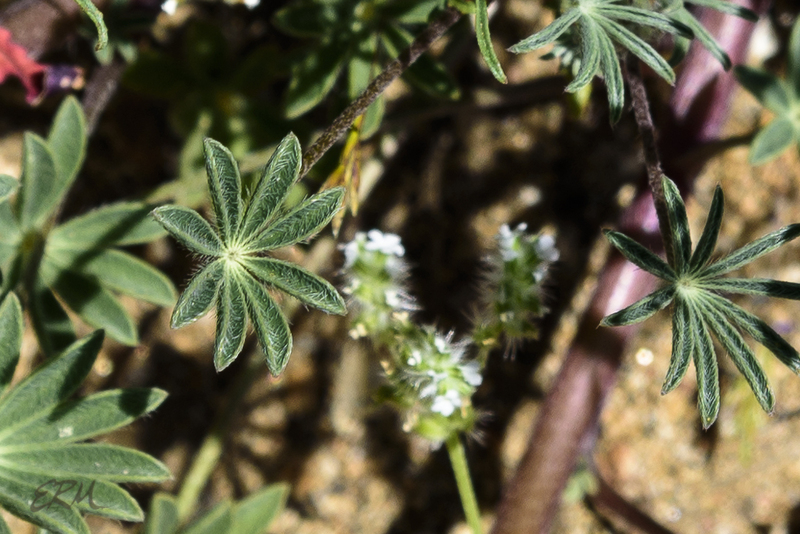 arizonicus and Lupinus arizonicus ssp. arizonicus var. barbatulus. I have no idea which one is pictured here. I found a long swath of these southwest of Borrego Springs, on the other side of the mountain range just outside Azna-Borrego Desert State Park proper, along the shoulder of San Felipe Road. 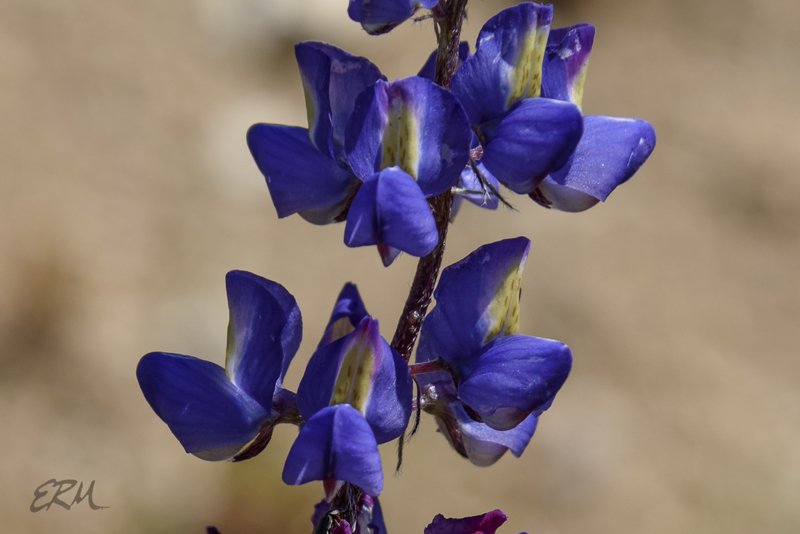 I wasn’t sure at first if they were Arizona lupine or one of the other species. The color was different, but that’s an unreliable characteristic. The plants were shorter and smaller overall, but that could have something to do with local growing conditions. Then I found a good description of both species. L. arizonicus has mostly glabrous (smooth) leaves, while L. sparsiflorus is ciliate (hairy), especially at the margins. 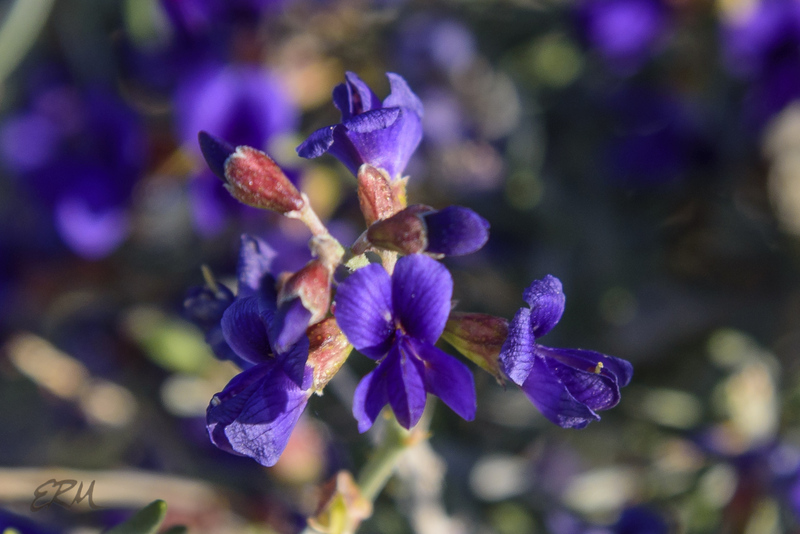 This six foot tall shrub has a similar range to the Astragalus (that is, rather limited parts of the Sonoran Desert). 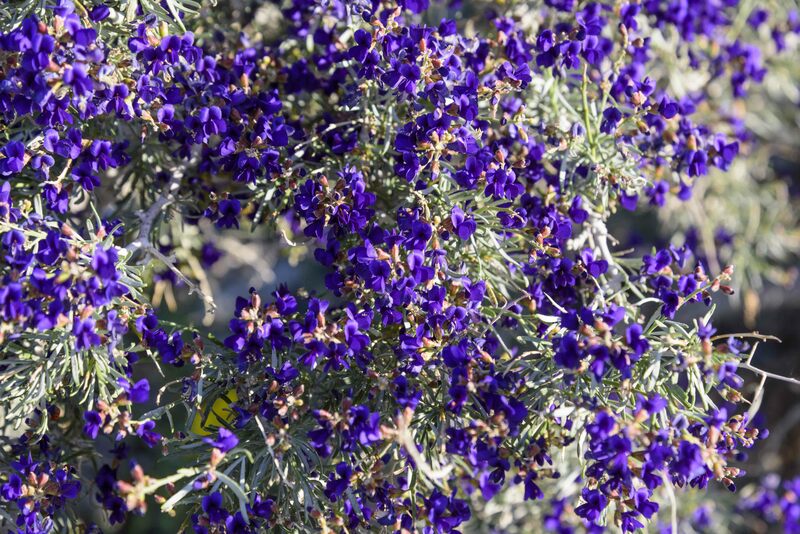 When it blooms it’s just covered in lightly fragrant blue-purple flowers. And bees. 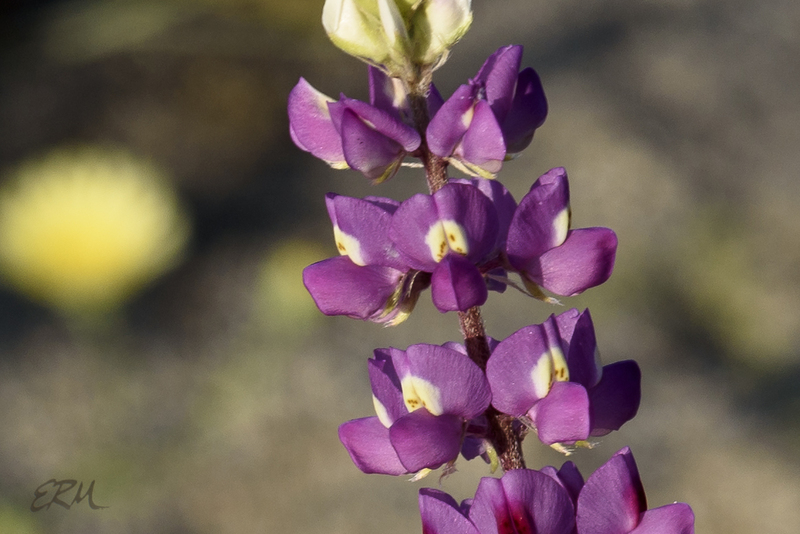 This entry was posted in Uncategorized and tagged Anza-Borrego, Astragalus, Fabaceae, Lupinus, Psorothamnus, Sonoran Desert by elizabeth. Bookmark the permalink. Lupinus is one of my favorite genera. In Spokane I have seen as many as five species in the same area.